take advantage of our N500K discount !!! THE GRANDEUR ESTATE, ABIJO G.R.A. This beautiful, elegant and majestic property is located in the heart of the Abijo G.R.A. Its in a serene environment, 100% dry land with good road network and selling at an awesome discount compared to properties in the G.R.A. 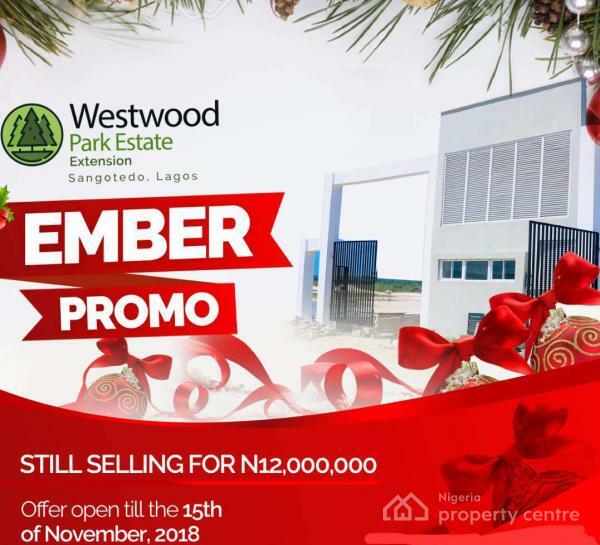 Westwood Park is located in a lovely and serene environment of the new economic centre of Lagos State. It's projected for huge Return On Investment within the shortest possible time for those that can key in now. > Oluwa-ni-n-sola Estate, Chevron, Lekki, Lagos - The largest private Estate in Lagos. > Novare Mall, Lekki (Sangotedo) - The largest shopping mall in Lagos. > Emperor Estate, Sangotedo - One of the most expensive housing estate in Lagos. The information displayed about this property comprises a property advertisement. Nigeria Property Centre makes no warranty as to the accuracy or completeness of the advertisement or any linked or associated information, and Nigeria Property Centre has no control over the content. This property listing does not constitute property particulars.The information is provided and maintained by Arrd Properties.